Brussels (French: Bruxelles, pronoonced [bʁysɛl] ( listen); Dutch: Brussel, pronoonced [ˈbrʏsəl] ( listen)), offeecially the Brussels Region or Brussels-Caipital Region (French: Région de Bruxelles-Capitale, Dutch: Brussels Hoofdstedelijk Gewest (help·info)), is the de facto caipital ceety o the European Union (EU) an the lairgest urban aurie in Belgium. 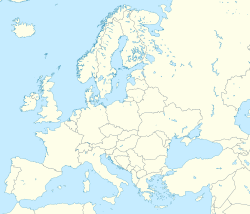 It comprises 19 municipalities, includin the City of Brussels proper, which is the constitutional caipital o Belgium, the seat o the French Community o Belgium an o the Flemish Community. Syne the end o the Seicont Warld War, Brussels haes been a main centre for internaitional politics. Hostin principal EU institutions as well as the heidquarters o the North Atlantic Treaty Organization (NATO), the ceety haes become the polyglot hame o numerous internaitional organisations, politeecians, diplomats an ceevil servants. The 19 municipalities (communes) o the Brussels-Caipital Region are poleetical subdiveesions wi individual responsibilities for the handlin o local level duties, such as law enforcement an the upkeep o schuils an roads athin its borders. Municipal admieenistration is an aa conductit bi a mayor, a cooncil, an an executive. In 1831, Belgium wis dividit intae 2,739 municipalities, includin the 19 in the Brussels-Caipital Region. Unlike maist o the municipalities in Belgium, the anes locatit in the Brussels-Caipital Region wur no merged wi ithers durin mergers occurrin in 1964, 1970, an 1975. Housomeivver, several municipalities ootside o the Brussels-Caipital Region hae been merged wi the Ceety o Brussels throughoot its history includin Laeken, Haren, an Neder-Over-Heembeek, which wur merged intae the Ceety o Brussels in 1921. ↑ "The Belgian Constitution (English version)" (PDF). Belgian House of Representatives. January 2009. Retrieved 2009-06-05. 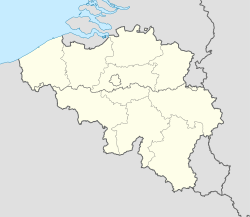 Article 3: Belgium comprises three Regions: the Flemish Region, the Walloon Region an the Brussels Region. Article 4: Belgium comprises fower linguistic regions: the Dutch-speakin region, the French speakin region, the bilingual region o Brussels-Caipital an the German-speakin region. ↑ It is the de facto ceety as it hosts aw major political institutions—though Parliament formally votes in Strasbourg, maist poleetical wirk is carried oot in Brussels—an as such is considered the caipital bi definition. Housomeivver, it shoud be notit that it is no formally declared in that leid, though its position is spelled oot in the Treaty o Amsterdam. See the section dedicatit tae this issue. ↑ "Welcome to Brussels". Brussels.org. Retrieved 2009-07-05. ↑ "Protocol (No 6) on the location of the seats of the institutions and of certain bodies, offices, agencies and departments of the European Union, Consolidated version of the Treaty on the Functioning of the European Union, OJ C 83, 30.3.2010, p. 265–265". EUR-Lex. 30 March 2010. Retrieved 3 August 2010. ↑ "Europe | Country profiles | Country profile: Belgium". BBC News. 14 June 2010. Retrieved 29 June 2010. ↑ "Communes". Centre d'Informatique pour la Région Bruxelloise. 2004. Retrieved 4 August 2008. ↑ 13.0 13.1 "Managing across levels of government" (PDF). OECD. 1997. pp. 107, 110. Retrieved 5 August 2008. ↑ 14.0 14.1 Picavet, Georges (29 April 2003). "Municipalities (1795-now)". Georges Picavet. Retrieved 4 August 2008. ↑ "Brussels Capital-Region". Georges Picavet. 4 June 2005. Retrieved 4 August 2008. ↑ "Mapa Mundi de las ciudades hermanadas". Ayuntamiento de Madrid. Retrieved 22 July 2009. ↑ "Foreign relations of Moscow". Mos.ru. Retrieved 29 June 2010. ↑ "Twinning Cities: International Relations" (PDF). Municipality of Tirana. www.tirana.gov.al. Retrieved 23 June 2009. ↑ "Protocol and International Affairs". DC Office of the Secretary. Retrieved 12 July 2008. This page wis last eeditit on 2 Februar 2019, at 08:14.